Our Urban Futures Ideas Competition Recap! Some of the presentations were about dreams: they asked you to fantasize and pointed to three p’s: performative, policy, and prospect aspects. They asked you to think and take a different approach, were global and strategic, concerned with networks and should in the future be refined and presented to policy and decision makers. Other entries were based on field studies and prescribed specific solutions. These brought forward the problem of reconciling the city as a whole with small-scale solutions. There was an aspect of hybridity in many of the ideas where observations were combined with analysis of communal patterns and the author’s professional know-how. There was also a significant aspect of the person, with participants identifying their own personal obstacles with the city, including problems they faced on a daily basis. Many of the participants presented ideas in direct opposition to standard urban thought which prioritizes planning from above. Finally, the event and the competition raised and addressed some very important questions: How can you control and how far can you dictate? Can you affect change on the government level and people will follow? Can you affect grassroots change and will the government follow? How much do you know and how much do you need to know before you act on your knowledge? When do we move from talking to doing? 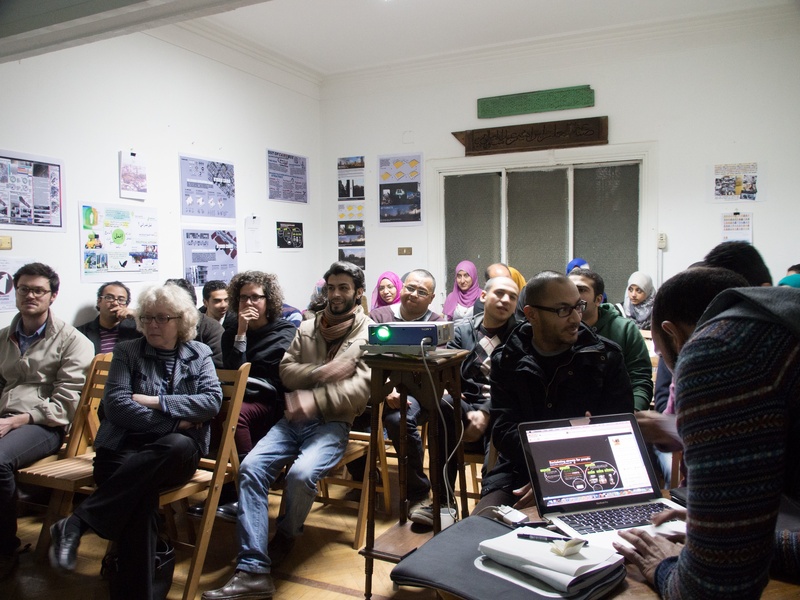 The first prize winner of the Our Urban Futures Competition is: Nasr City Urban Valley. The two runners up are: Sustainable Transit Upgrades and Mafto7. It is our hope that these ideas, along with many of the others submitted, will continue to be developed. In the coming weeks and months we hope to organize a workshop to advance some of your ideas. While the competition is closed, we invite competition participants, and those who have an idea but were not able to submit it, to share your ideas with the broader community on our FB page and blog. If you would like to write a short post for our blog pitching an idea (one from the competition or a new idea) to the community, we would be happy to showcase it on the blog and FB. To competition participants: we hope the competition also served as a welcome to Cairo from Below. If you have a blog post you would like to publish on analysis or opinion on more sustainable, equitable and transparent planning in Cairo, please send us a blog post proposal (one paragraph) or a draft post (750 word max please). ← Our Urban Futures – The Entries are In!